While I must admit, boho isn't my go-to style, I absolutely LOVE this look. 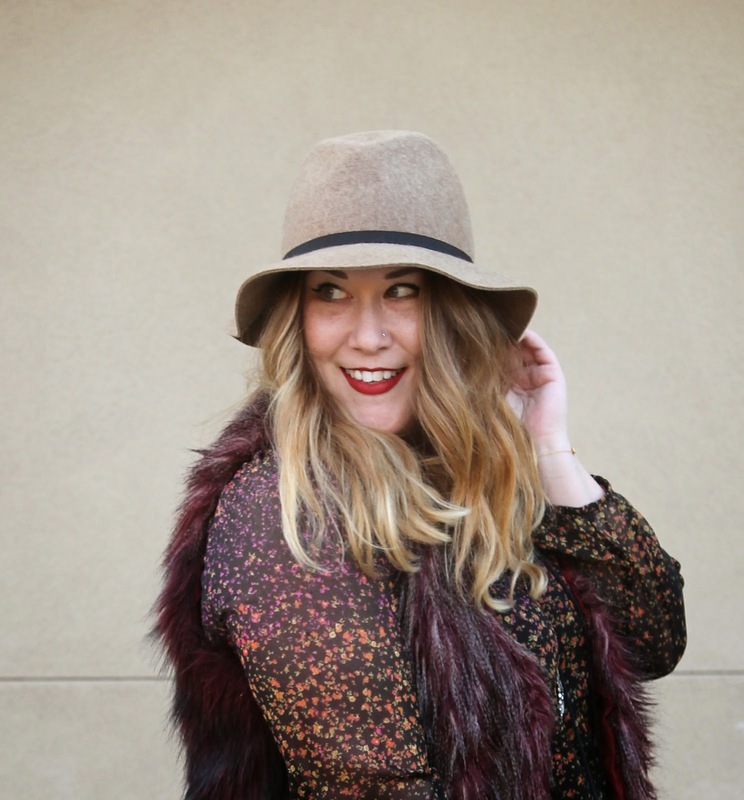 Floucy dress, faux fur vest, wool hat? Yes, on so many levels. I felt so Rachel Zoe and might need to rock this style more in the future. That's one thing I love about fashion, one day you can look like a boho babe and the next a preppy schoolgirl (yes that's totally a hint to another post coming soon). Have fun with your style, it's all up to you! Loving this whole combo! Yes to Boho! Miss you girlie. Besos! 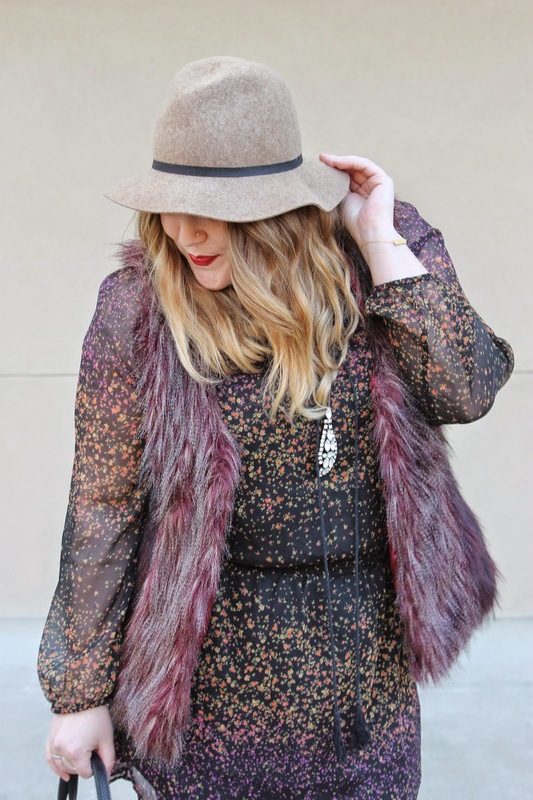 That dress with the fur vest is perfection! Such a great look! Love the coloring on the vest!